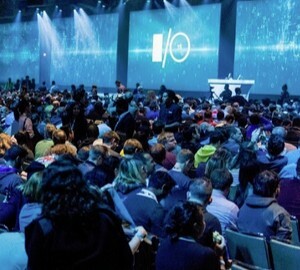 Every year towards the end of May, Google holds a conference (Google I/O) to announce all the latest and greatest products that are being worked on by the tech giant. This year, some of us at NexSens took much more interest in the announcements than usual. With a number of planned, in-development and released mobile apps, changes to the Android OS mean changes to WQData LIVE as well. The vast majority of changes that Google announced were stability improvements and general quality-of-life updates for users. These changes will help WQData LIVE’s mobile apps run quicker and smoother and make development easier as well. One announcement that could impact the entire environmental science community and change the way data loggers and data monitoring works forever is Google Brillo. Brillo is a firmware that is based on the lower levels of Android, making it a simple, easily extended firmware for embedded systems. Google is hoping to have it installed on door locks, lights and all sorts of items around the house to give people full control of the home from their smartphone and even over the internet. In addition to Brillo, Google announced Weave, which is a communications layer protocol that will allow devices running Brillo to talk to each other, the cloud and Android and iOS mobile devices. Currently, data loggers require a lot of programming and custom firmware, which means long development times, delayed releases and buggy usability. With Google Brillo, the need for custom firmware is eliminated, making development shorter and allowing OEMs to focus more on adding functionality and stability instead of low-level firmware. Integrate this with Weave for a fully connected experience. Push data easily to WQData LIVE, connect straight to the logger from a phone, tablet or computer, or even set up a network of data loggers that communicate with each other for large-scale projects. So many doors will be opened by Google Brillo and we at NexSens Technology are excited to see where they will take us and the industry as a whole.